Praga Alfa the Multi-Purpose, STOL performance aircraft. Reliable and Low Cost maintenance WORKHORSE. The SM-92T(E) PRAGA is an multi-purpose single engine high wing all-metal turboprop aircraft with fixed landing gear according to EASA CS-23 and FAA FAR 23 requirements. The SM-92T(E) PRAGA with unpressured cabin can accommodate up to 7 persons including a minimum crew of one. The power plant is a Walter M601 F turboprop engine mounted in the nose of the aircraft fuselage with three-blade all metal propeller AV-803 (Tractor Type). The aircraft is conceptually designed to satisfy the requirements for easy operation and maintenance service, including service in the difficult climatic conditions of the Arctic Circle or in the desert. The airplane does not need to run on the approved areas (airports), can operate in any area without hindrance around with sufficient load capacity ground. The aircraft is so designed, that it does not need hangaring. Specially designed high quality aerodynamic wing profile P-301 M-15 allows aircraft to use a huge range of speed, sufficiently large control surfaces enable the operation of aircraft central part with huge range of values, which are reflected in a very positive evaluation of user-friendliness and above all safety. The aircraft is equipped with large sliding side doors, which enable considerably more efficient operation of the airplane. Type of avionics will be determined by the priorities of individual customers, in the simplest variant on the classic analog devices together with navigation and GPS, better-equipped aircraft will offer a modern glass cockpit systems. The GE M601 series engine is a light-weight, reliable, free power turbine turboprop engine. With more than 17 million flight hours on more than 30 applications since its introduction in 1975, the M601 has a proven record of durability, reliability and ease of maintenance. No Hot Section Inspection (HIS). The GE H80 engine more powerful, fuel-efficient, durable turboprop engine: enhanced high altitude, hot-day performance. The GE H80 is combination of the robust turboprop design of the M601 series with GE Aviation’s modern 3D aerodynamic design techniques, advanced materials and blisk technology. Three-blade propeller AV-803 is all-metal double-acting adjustable propeller (Tractor Type) with the possibility of a reverse thrust, flagging positions and a speed limiter. The speed limiter which is fitted into the engine keeps constant chosen propeller speed. TBO 3000 FH / 5 calendar year with the possibility to extend the calendar year resurs up to 8 years. GE’s global MRO (Maintenance Repair Organizations) network helps customers keep their aircraft engines operating at peak performance – no matter where they are in the world. Fuel consumption 163 l/h 43 US gal/Hr. Praga was founded in 1907 to build motor cars as a venture between entrepreneur František Ringhoffer and the company 1. Českomoravská továrna na stroje (“First Bohemian-Moravian Machine Works”, later a founding part of the ČKD factories). 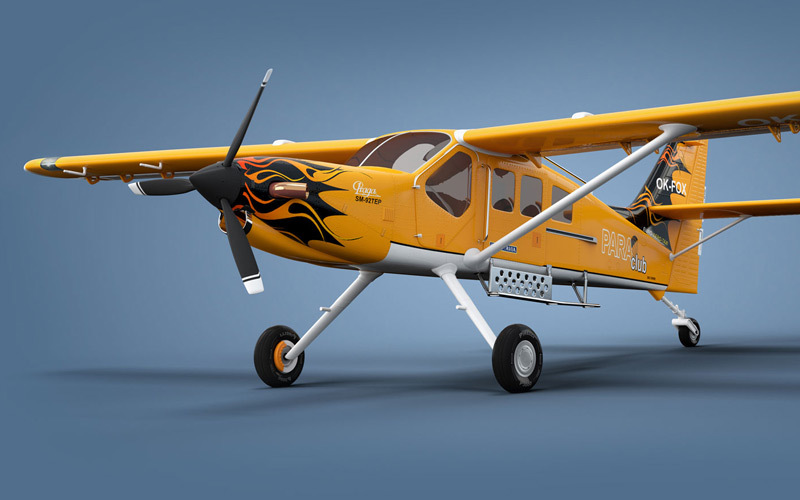 Praga also diversified into building engines and gearboxes for other applications such as aircraft and tanks.Under the designation PRAGA the Czechoslovakian company ČKD-Praga started design aircraft in 1930 and the first aircraft was Praga E-39 from 1931. It was a military trainer. Under leadership of designer Miroslav Šlechta was built the Praga E-114 Air Baby aircraft. The Baby Air has a commercial success and was sold to France, Iran, Romania and to Great Britain. Most of the British aircraft were manufactured locally in Manchester under a licence, by F. Hills & Sons as the Hillson Praga. 126 aircraft were ordered until 1946. ČKD-Praga developed 17 aircraft designs, of which 7 entered series production. Continuing the tradition we developed the Praga SM-92T(E). It is modification of very popular aircraft SM-92T Finist (the maiden flight in December 28th 1993) with almost 40 delivered units by this time. 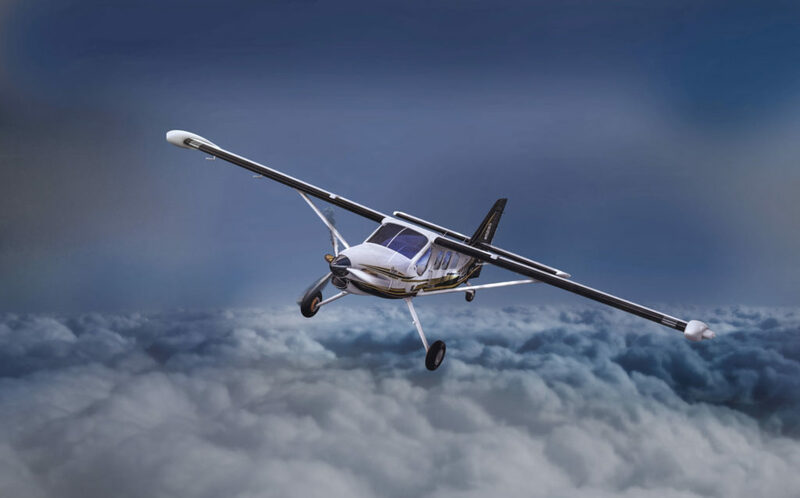 Customer´s experience of 45 000 total flight Hours gives us assurance that our Instinct to offer to the market modern multi-purpose aircraft is right. We are proud of Praga brand in aviation. Why? The first aircraft Praga E-39 first flown in 1931.